Yesterday evening, members from UFA visited Station 24 in Gladwyne for annual fit testing. A “fit test” tests the seal between the respirator’s facepiece and your face. 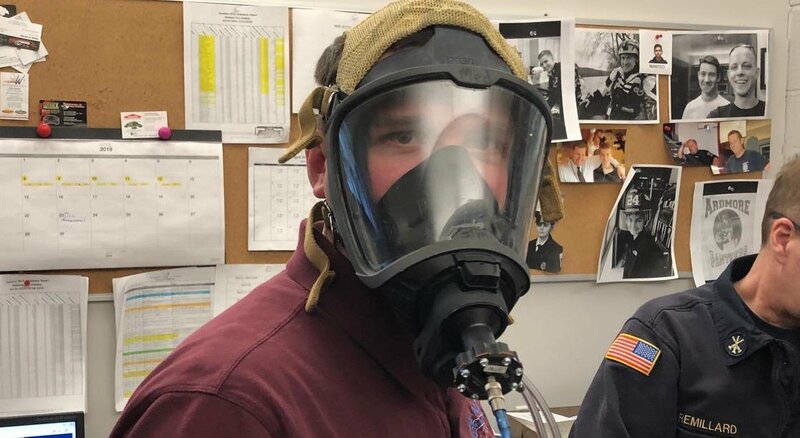 In order for firefighters to be able to breathe and function in Immediately Dangerous to Life and Health (IDLH) atmospheres, the mask they wear must fit properly without any leaks. More specifically, if your respirator doesn’t fit your face properly, air can leak out of your respirator facepiece and you lose invaluable air and working time in a hazardous environment.